You may know the brand Skechers for the $40-million-dollar lawsuit related to their much overhyped “toning shoes” that came out a few years ago. The problem was that the shoes were wearing out quicker than normal trainers and, when that happened, lower extremity pain presented itself. Plantar fasciitis, achilles tendonitis, hip pain, and back pain are a few of the issues that arise when people accept Skechers as a solution to all foot pain issues. “While the soft medial EVA is initially good for shock absorption, it compresses quickly. This creates an excessively pronated shoe, even when barefoot pronation is otherwise minimal,” according to Jenny L. Sanders, writing for Podiatry Today. Other doctors said the shoes weren’t for everyone, and were too unstable for runners and people with arthritis, in particular. They also taught people to walk differently, which was “not necessarily a good thing when you’re talking specifically about kids,” said another podiatrist. Even though the legal dust has settled, many patients are still wondering if Skechers shoes are good or bad for them. Many question whether or not Skechers are appropriate for addressing mobility issues. Are All Skechers Shoes Bad for Your Feet? 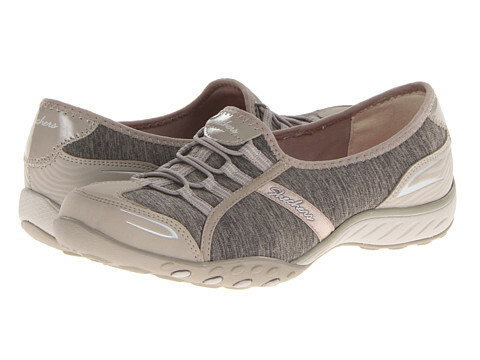 The Podiatry Post recommends the Skechers “Free Play” and Skechers “Work – Oswald” as two of the “five best women’s clogs for under $50.” They commended the “soft, padded footbed” of the work shoe and the “memory foam insole with soft fabric lining and flexible rubber outsole” on the athletic shoes. Some podiatrists say Skechers can be fine for most feet as long as they are changed out every six months or so. However, other podiatrists maintain that many Sketchers models permit too much movement and do not offer enough stability. Fashion bloggers like the idea of Skechers’ new “Relaxed Fit” shoes because they’re appropriately priced, they offer a lot of different styles, and they are “legitimately cute.” On top of that, they are built with “roomier construction and enhanced cushioning.” At the very least, this marriage between comfort and style is “better than Crocs,” says The Gloss. We haven’t seen a pair of these shoes in person to give them a thumbs up or a thumbs down, but we can say that wider shoes are good, and memory foam is comfortable, but should work in conjunction with a well-structured sole. However, we have also observed many shoe marketers throwing around jargon about “support” and “comfort” that prove to be false with a little wear-and-tear. The Bottom Line: Where’s the Science? What concerns us are that some of these shoes are being marketed to people with foot problems — like arthritis, for instance. As far as we know, this is not a product endorsed by the FDA for the treatment of arthritis. It does not have the American Podiatric Medical Association’s “Seal of Acceptance,” either. No studies have been performed to validate the opinion that these are helpful shoes to arthritis sufferers. So, in the end, exercising a bit of healthy skepticism is a good thing. We advise that you look at some of the APMA recommended shoes that meet their strict criteria for stability and safety. Meeting with a podiatrist to discuss your particular biomechanics would be a helpful way of starting your shoe shopping if pain treatment or prevention is a concern to you. If you live in the NYC/Westchester area, book an appointment with The Center For Podiatric Care & Sports Medicine.